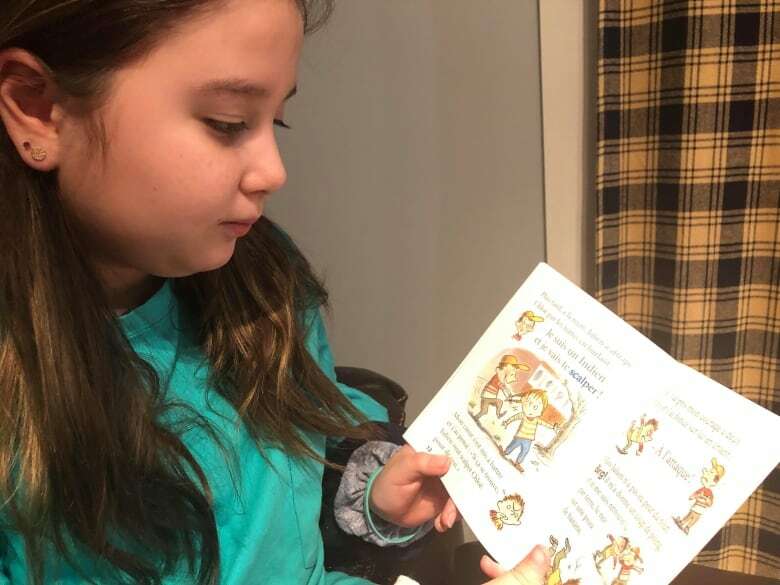 An Elsipogtog First Nation mother says she's pleased the province's education minister apologized after her 10-year-old daughter discovered a racist passage in a book at her elementary school. 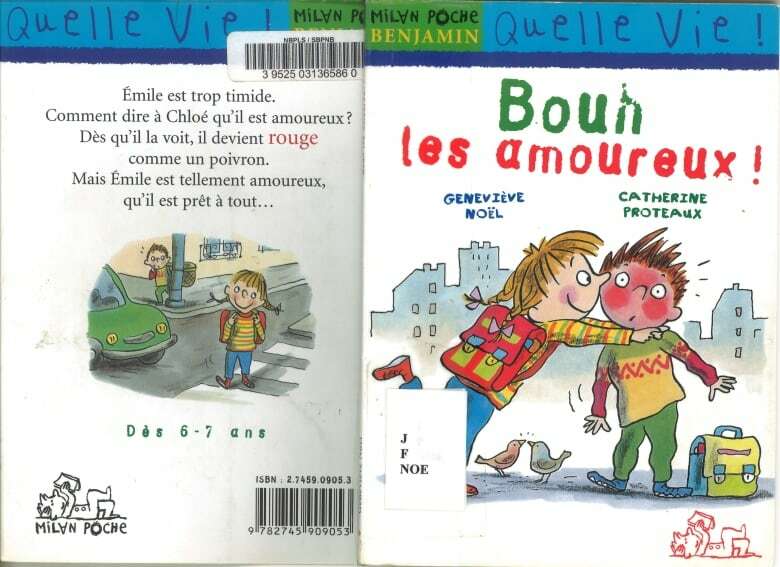 Sharona Levi said her daughter, Emma Ward-Levi, came home with the book Bouh les amoureux! on Wednesday and showed her a page. An illustration shows two children. 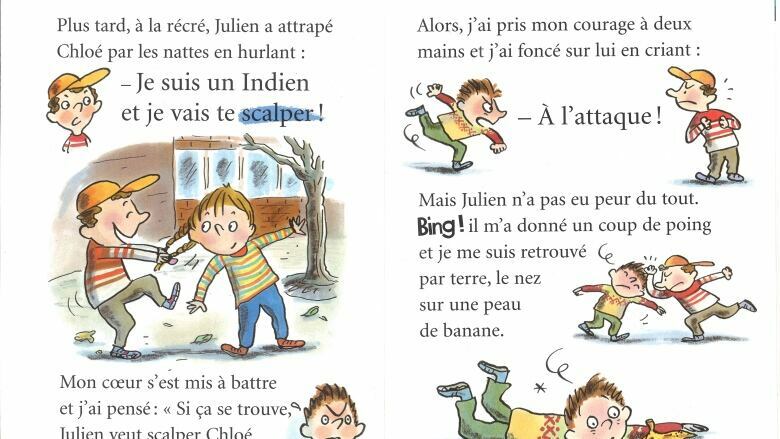 One child is pulling the braids of the other and the caption, written in French, says: "I am an Indian and I will scalp you!" Her daughter who attends Rexton Elementary School told her she wanted to show her mom because she didn't think it was nice. "I just kind of sat there for a little bit shocked at what I was reading," Levi said, adding she felt the book aimed at children six to seven years of age perpetuates stereotypes about Indigenous people. She posted a photo of the passage on Facebook, which garnered hundreds of shares and comments. Levi said she received a personal apology from Dominic Cardy, the education minister, as well as from the principal of the school. 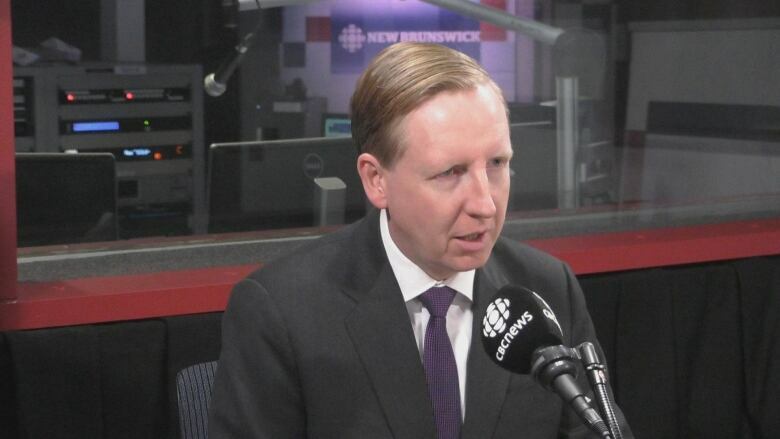 "I was certainly depressed that we're still having to expose people in First Nations communities to stuff like this today and all of the other kids as well," Cardy said in an interview Thursday. He also apologized to Elispogtog First Nation Chief Arren Sock. He said the department will try to do better and use the incident to talk about racism. "I never thought I'd have to talk to my children about this," Levi said. "But I'm glad it's there and popped up because sometimes on the road to having a good relationship with First Nations, sometimes we need to see these things to know we have a little ways to go." CBC contacted the France-based publisher of the book but did not receive a response. Anglophone North School District said staff at all district schools were alerted to the problematic book. "Racist literature is completely unacceptable," said Meredith Cassie, a spokesperson for the district, adding it highlights the importance of "our collective responsibility to purge any and all racist literature from our collections and classrooms." She said the book was in a basket of books in a classroom and wasn't part of the curriculum. It's not clear if there are other copies of the books at other schools. "Staff will be going through the remainder of the books that they have in their libraries and in their classrooms to see what's in their inventories and to vet and to remove anything that would be offensive in any way," she said. Cassie said the district is "incredibly proud" of the Grade 5 student for recognizing the passage was inappropriate. Kent North MLA Kevin Arseneau said he became aware of the book Wednesday when he was sent photos by the chief of Elispogtog First Nation and spoke to the school district superintendent about it. ​"I think we have to strike a broader conversation on not only the resources we have in our schools, but on this — call it as it is — this racism that's still very present in everyday life," he said. Sock did not return a request for comment. 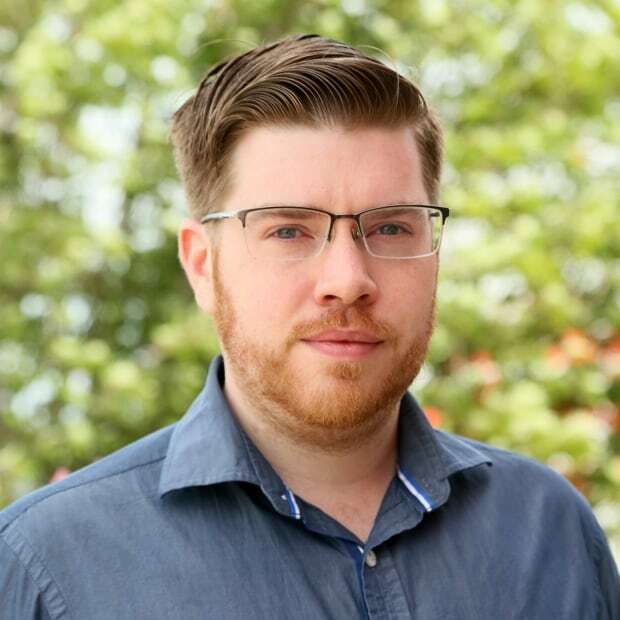 Shane Magee is a Moncton-based reporter for CBC.